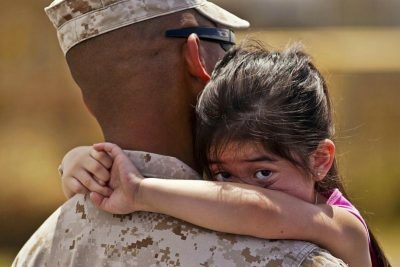 Did you know that military children and youth have a counseling program just for them? Child and youth behavioral counselors from the Military Family Life Counseling Program (MFLC) provide services to address the unique challenges children experience as military family members. “MFLCs” (m-flacks or mi-flicks) often work with children who have special medical or educational needs, especially when those needs result in behavioral challenges. In addition to behavioral concerns, MFLCs offer help for home changes such as deployment, reunion, grief and divorce, self-esteem, communications and relationship issues, problem solving and adjustment. Sessions are confidential between the child and counselor (except in cases involving child abuse, domestic abuse, and suicidal or homicidal thoughts or impulses). MFLCs are fully-credentialed professionals with either a Master’s or doctoral degree. Services are free to eligible children and their families. MFLCs are attached to military installations. For National Guard, Reserve, and other military families who don’t live within reasonable driving distance of an installation, in-person counseling and on-site behavioral interventions won’t be an option. Some families may want to explore counseling from a different source using video and on-line chat options (parents only) through Military OneSource. Note: Military OneSource is not associated with the MFLC program. The Military Family Life Counseling Program (MFLCs) staff work with children and youth in everyday settings, such as making crafts with them, playing a pick-up basketball game or even eating lunch in the school cafeteria. Support groups are another way MLFC staff reach out to kids—each group focuses on a topic such as adjusting to a new school or learning to cope with a parent’s absence. The sessions take place in schools in the districts where military families live, or at installation Child Development (military operated daycare) or Youth Centers. MFLC staff can also meet with families in any location, except their home. Parents may self-refer, or be referred through a service member’s chain of command, medical provider, Exceptional Family Member Program (EFMP), chaplain, School Liaison Officer (SLO), teacher or Child Development Center staff, etc. Behavioral interventions are provided for kids in the classroom, in group activities, and at the Child Development Center. MFLC staff can also train teachers or staff by modeling behavioral management techniques. The MFLC staff builds relationships with staff in the Exceptional Family Member and School Liaison Office, so that those professional personnel feel confident referring families to the MFLC office for help. How can a Parent Center Staff use this resource? Suggest the family contacts MFLC program through their child’s school, an installation’s School Liaison Office (SLO), Child Development Center, Youth and Teen Center, or Military Family Support Office. The MFLC program is clearly a valuable resource for families, especially since children who have a parent in the National Guard or a Reserve unit can also access their services. MFLC contacts are often listed on an installation’s website-or use our Interactive Maps or contact the Branch for specific installation information.